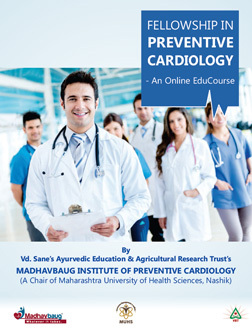 I am practicing since 23 years now… but when I read about this course I hought this will definitely add an extra edge to my BAMS qualification… many patients come to me for treatment on cardiac diseases… या कोर्समुळे मला त्यांना अधिक चांगल्या प्रकारे treat करता येईल… मी NIMA, Satara branch चा secretary ही आहे… I have seen many cases of cardiac diseases… Preventive Cardiology ची किती मोठ्या प्रमाणात गरज आहे हे लक्षात येत होतं and I came across this course by Madhavbaug. The impressively designed curriculum by using modern and traditional medicine will be the first time. I feel it is useful for enhancing regular practice with advanced skills and updated knowledge. 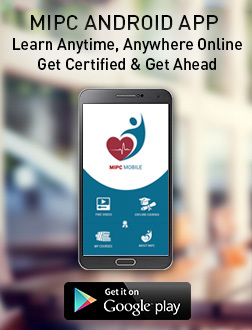 E-learning मुळे मला माझी practice ही थांबवावी लागणार नाही… cardiology मधलं clinical आणि preventive knowledge आणि investigations हे त्याविषयांचे experts, Cardiologists बरोबर शिकता येईल आणि मी मघाशी म्हटलं त्याप्रमाणे Preventive Cardiology is the need of the hour, so this course can help save a lot more lives. It will help me practice Cardiology at rural places which was practiced in only in urban areas till now. खेड्यात राहणार्या लोकांना जास्त मदत करता येईल. The curriculum is designed in such a way that has all the aspects related to cardiology… ते सगळे त्यांनी एका वर्षाच्या कोर्समध्ये व्यवस्थितरीत्या…कोणताही important topic न वगळता समाविष्ट केलेत. I can assure on the basis of my experience that this course will definitely achieve its goal of reducing number of people suffering from various heart diseases. Drop us an Email for Prospectus, Brochure or any kind of Queries.